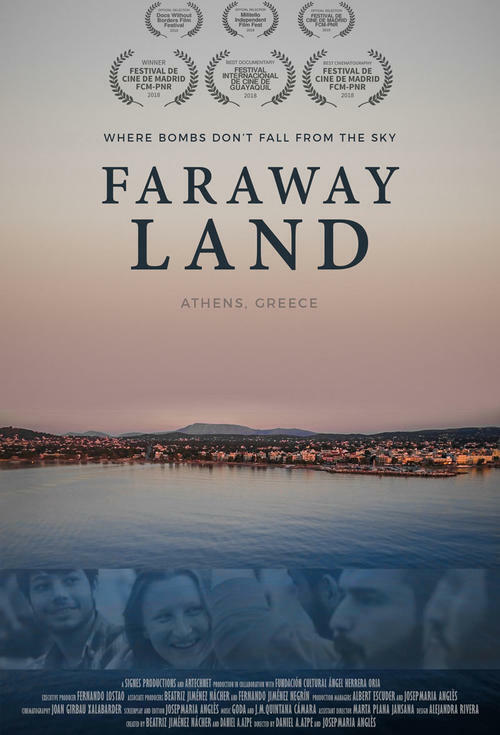 Filmed in 2017 in Athens, Greece, this independent documentary film explores the inestimable phenomenon of friendship between refugees and volunteers. All of them come from different histories, they have different dramas, but also a lot in common: they all left their homeland behind to save their lives and to start again in this faraway land - sometimes hostile, sometimes supportive - which is Europe. Since 2015, Greece has been the gateway to Europe for more than one million refugees, most of them from Syria and Afghanistan. In March 2016, the treaty between the EU and Turkey involved the closing of borders, complicating the passage, and more than 60,000 refugees have found themselves stuck in Greece, living in an anguished and indefinite wait. However, they are not alone: in addition to the large NGOs and non-profit organizations, hundreds of volunteers from around the world have decided to park their lives temporarily and share the refugees waiting. Proceeds from this special presentation to benefit an art therapy program for refugees, organized by artist and UGA graduate Maria Nissan, who will lead a brief discussion and question and answer session following the screening. As a first generation American whose parents came from Iraq as refugees, Maria has created an art therapy project that offers refugees psychosocial support and a creative outlet using the universal medium of art to to form an interactive community where participants can express themselves as they learn traditional artistic techniques and methods in a safe space that allows healing through their trauma.